NBCP launch Instagram account – or is it Catstagram? NBCP launch Instagram account : or is it Catstagram? Cats Protection North Birmingham has launched its very own Instagram account. And the first post is from the youngest member of the CP committee, 20-year-old Rakib Hussain, who has given the account a unique name – Catstagram. Clever and cat-friendly! Rakib has been a volunteer since May 2017 and has managed to juggle the role of Neutering Officer with his studies. All being well, he will graduate this summer with a degree in Theology & Religion, studied at the University of Birmingham. Just now, Rakib is doing even more for the Branch – fostering kittens AND setting the ball rolling with the Instagram Account. Of course, the Branch already has a Facebook page and a twitter presence. So here is Rakib’s first post, and his invite to everyone is, of course, follow this if you can! “Hi, Catstagram lovers! First, I’ll formally introduce myself. 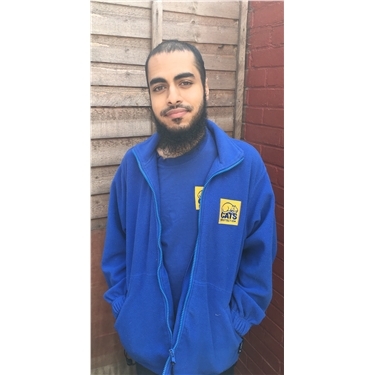 My name is Rakib and I have been volunteering for Cats Protection since May 2017. Giving back to society is something that is close to my heart and I couldn’t imagine life without volunteering. There are so many ways you can volunteer for North Birmingham Cats Protection and it’s always best to speak to someone who is experienced so you know the amazing value of joining us - or any other charity for that matter. “In my team I’m known as the Neutering Officer (fancy, eh?) and around December last year I was craving for more things to do. Apparently, this is what happens when you’re a student and love procrastinating! “So I decided to foster two beautiful kittens. I named them Pandora and Pedro. It was such a rewarding thing to do and seeing them go off to happy homes made me feel so content. Don’t worry, I didn’t cry when they went. “So, the question is - could you foster kittens? It’s kitten season and the Branch could definitely do with some help. You can find out more if you visit the link on the Instagram profile (or you can DM me). As long as you have a suitable, hazard-free room - where your foster cats or kittens can be confined - then you are one step closer to becoming a fosterer. “BTW, I loved fostering so much that I’ve decided to do it again. The new kittens will be with me soon and I’m so excited! I’ll definitely keep you all updated - YAY!